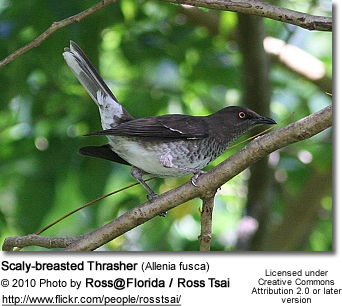 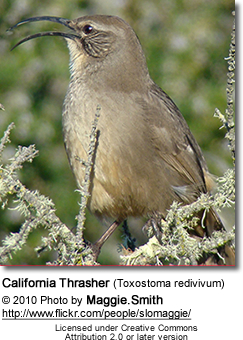 Thrashers occur naturally in the Americas. 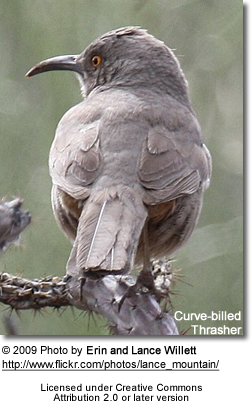 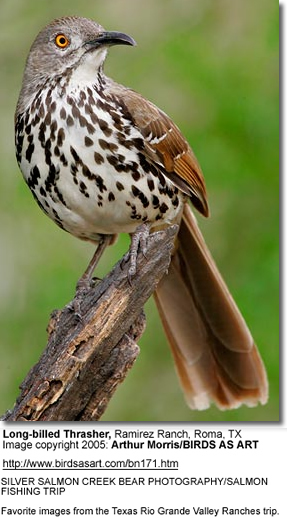 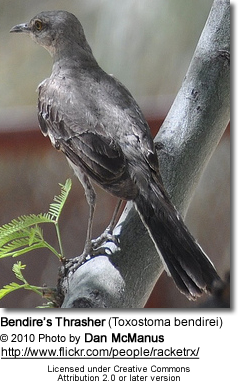 They are related to mockingbirds and New World catbirds. 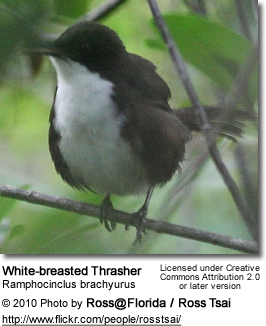 They got their common name because of the way they use their long bills to "thrash" through dirt or dead leaves, as they search for insects (their staple diet). 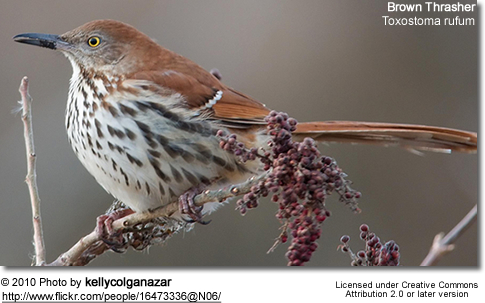 They may also eat berries.